The Old Kingdom Trilogy - Sabriel was the first audiobook I listened to (other than Harry Potter) and I was blown away by how amazing actor Tim Curry was with the narration. He brought an atmospheric darkness that fit the world of The Old Kingdom perfectly. Ready Player One/Armada - Wil-freaking-Wheaton. Enough said. The guy is a perfect sci-fi story narrator and the humor and sarcasm in his tone really bring out the lighter moments in Cline's work. Plus his acting skills definitely deliver when there's intense action going on! The Amulet of Samarkand - My current audiobook listen and I don't even need to finish it to say that Simon Jones brings the perfect amount of gravitas to this dark fantasy world. I'm really enjoying the story and the characters thus far. 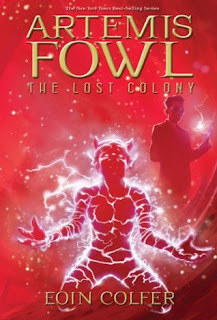 Artemis Fowl - I had so much fun with this story. The characters are Irish the use of an Irish narrator - Nathaniel Parker - really was a treat. More than his accent though, he really 'got' the story and the characters, acting out different voices for everyone involved beautifully. Harry Potter - If you've never listened to the Harry Potter Series on audio, you're missing out! If you're like me, with beloved books, you tend to read to fast - especially during intense scenes. Audio forces you to slow down and really savor every word. I've only listened to British narrator Stephen Fry both times I did the series on audio (I prefer British narration) and I adore him but I've heard great things about American narrator Jim Dale as well! Howl's Moving Castle - This book is almost universally beloved by my GR friends and I think audio would suit the style and theme nicely! Then I'd have to see the animated film as well of course. White Cat - I've had this on my tbr shelf for some time now but just recently Bec mentioned that it was narrated by Jesse Eisenberg which sounds interesting! I can't wait to experience his narration style. I'd really appreciate any and all audiobook recs you guys can throw my way - specifically in the fantasy/sci-fi genres (naturally - hehe). I haven't read Sabriel but I've seen it on your blog and now I'm curious. And Tim curry! Didn't know he was doing audio books- or Tennant for that matter. Must be more actors doing them than I realized. that's kinda cool. 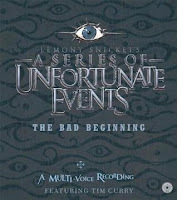 A series of Unfortunate Events seems like it would be cool on audio too. Ready Player One! I hear that audiobook is amazing. Wil Wheaton has been the narrator on a couple John Scalzi books I listened to, but I thought he was kind of flat on those. Maybe it's different with RPO. When a narrator is really enjoying themselves with a fun book, you can tell! 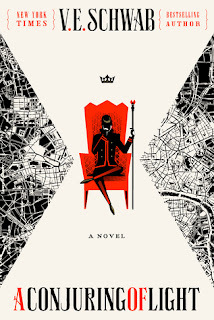 I don't list to audiobooks but yes you need to read/listen to Seraphina and White Cat. You also definitely need to read and watch Howl's Moving Castle. I loved Diana Wynn Jones' books when I was a kid and the movie is one of my favourite animated films. I still have yet to listen to a single audiobook. I KNOW! I fail at life. They're just so long Micheline! I'm intimidate by the 12-20 hour time commitments when I could just read the book faster ;-) I know I need to give one a try though, and then I'm sure I'll become obsessed. agree with Sabriel. I so need to catch up on that series. 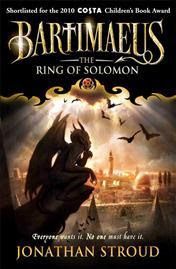 And I'm dying to read/listen to Seraphina too. Great list. I listen to music too much to get into audiobooks, but I can definitely see the merit especially when the narrator is amazing. 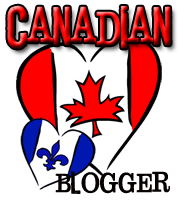 Thank you for sharing these recommendations!